I have a vase or urn and trying to figure out the make, year, and value. 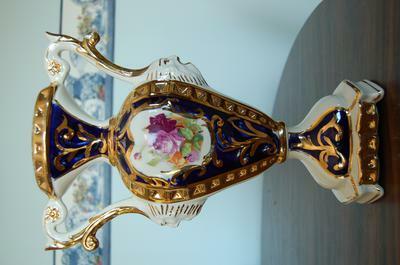 The height of the vase is 14" and from one handle to the other handle is 9". 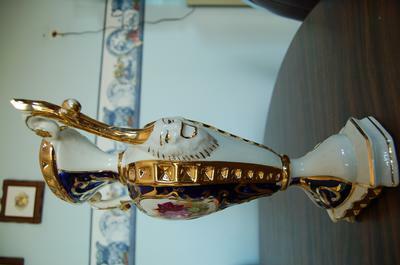 The picture is the same on both sides of the vase. 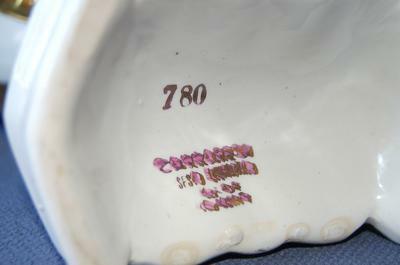 Regarding the writing on the bottom of the vase is the issue, as I have not been able to figure it out just yet. I have attached a few more pictures of the writing. 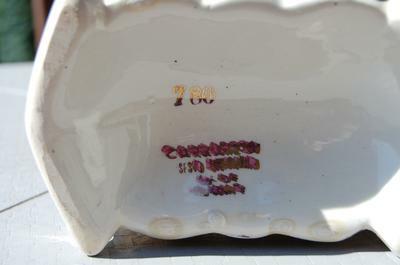 I cannot read the mark, but does it said Made in China? The vase looks European. If it is not Japanese export then it is Chinese export, perhaps. Cannot help with age and value.